Do you want to enjoy the village with beautiful and quiet atmosphere in Bali Island? 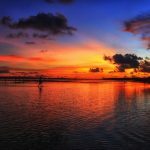 Jatiluwih Bali may be a good choice for your destination in Bali. 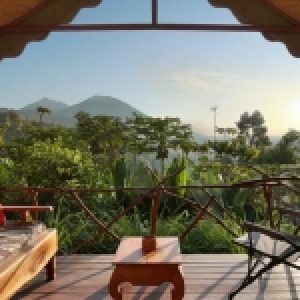 Tourist attractions in the western part of Bali is a newly popular tourist destination, especially for tourists who want to eliminate the fatigue with the frenetic urban atmosphere. Jatiluwih Rice Fields is located in Penebel, Tabanan, Bali. With an altitude of 700 meters above sea level, Jatiluwih had a great panoramic rice field terraces. The beauty and uniqueness of Jatiluwih Rice Fields made it become UNESCO World Heritage since 2012. 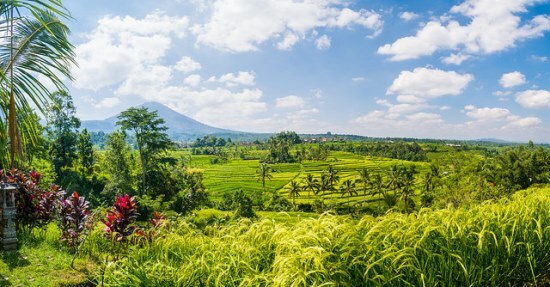 So, what makes Jatiluwih Rice Fields become so special? Let’s find about that! Most of the Jatiluwih Village are used as rice fields or known Balinese rice terraces. It was really amazing view! 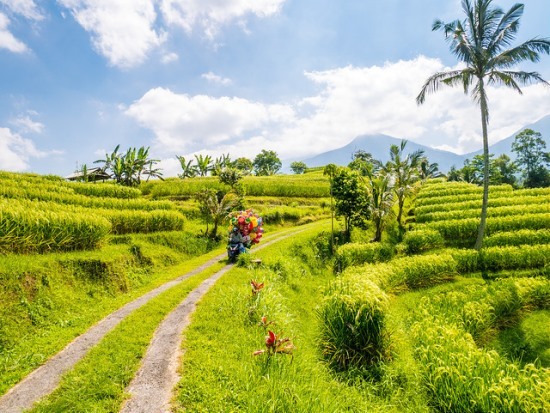 The rice fields using “subak” irrigation system based on Balinese traditional society. Subak reflects Balinese life philosophy called “Tri Hita Karana”. It means living in harmony which includes the balance of the spiritual world consists relationship man to the others, man and God, and man and nature. And you know that every subak has a temple where the goddess of prosperity is placed as a blessing symbol. 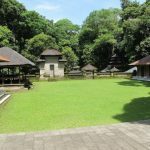 In Jatiluwih, you can also see the river, temples, or houses that are still modest. Some of the temples that we can see here among Pura Luhur Petali, Pura Luhur Bhujangga Waisnawa, Pura Rshi, Pura Taksu. The atmosphere really describes the peaceful rural atmosphere. To enjoy this panorama, you can use the bike or if you want to try something different, you can hire a Volkswagen car. The rural atmosphere has attracted many tourists both from local and abroad. 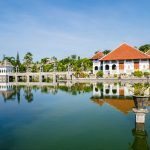 After enjoying the panorama of rice fields, you can enjoy a meal at one of the restaurants as much, because this restaurant providing delicious buffet package. While dining, you can view the rice fields with the mountainous background. What a perfect dining! After you have finished eating, do not forget to take the time to take pictures there. 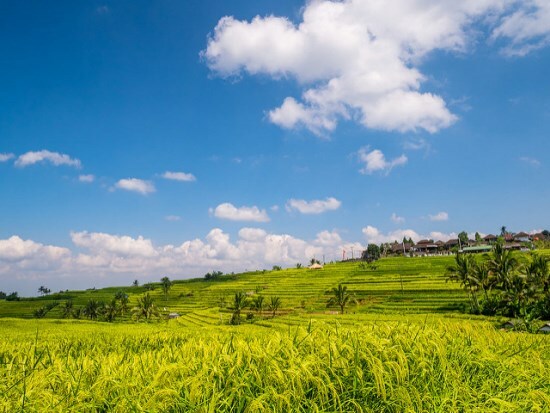 The perfect time to visit Jatiluwih is around February to April where the rice plant was already grown and have green-yellowish color. There are several ceremonies held in Jatiluwih, which most of them are connected with the rice planting. First, Mapag Toya (around September), while the locals start to open the Subak to water the rice field. Then, Ngurit in November where they prepare the seeds. At the early Januari, they held Pangawiwit (Nuwasen) when we start to plant the rice, then Nganyarin and Manyi during the harvest period in July. 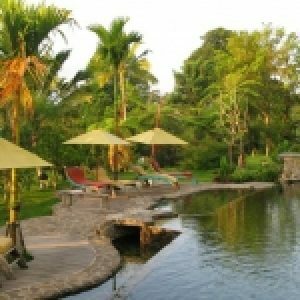 We can join the planting and harvesting activities here in Jatiluwih, as the popular attractions. Jatiluwih Rice Fields located 50 kilometers east of Denpasar. It can be reached by taxi or rental car around 1,5 hour. The best choice is by using rental car from Kuta or Denpasar. After visiting Jatiluwih, you can go to Tanah Lot Bali also.